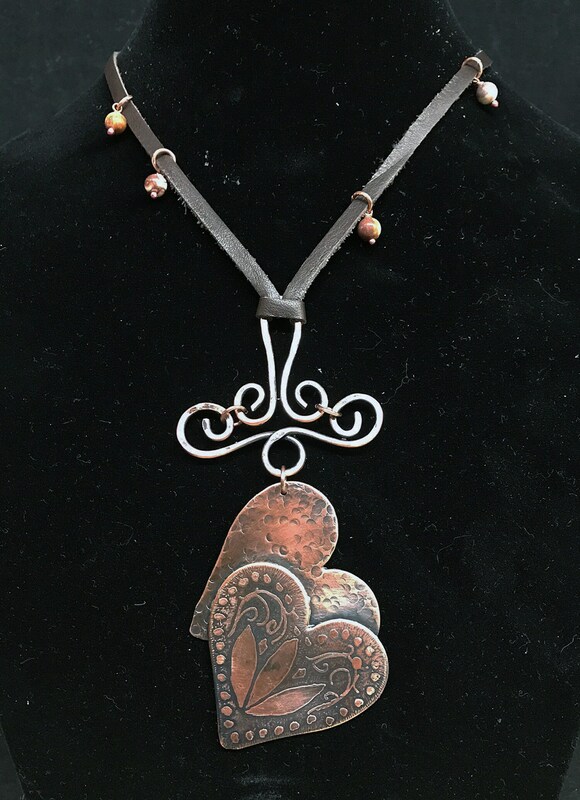 I have hand cut and created a double heart pendant. One heart is hammered, the other I drew a design on the heart and etched. 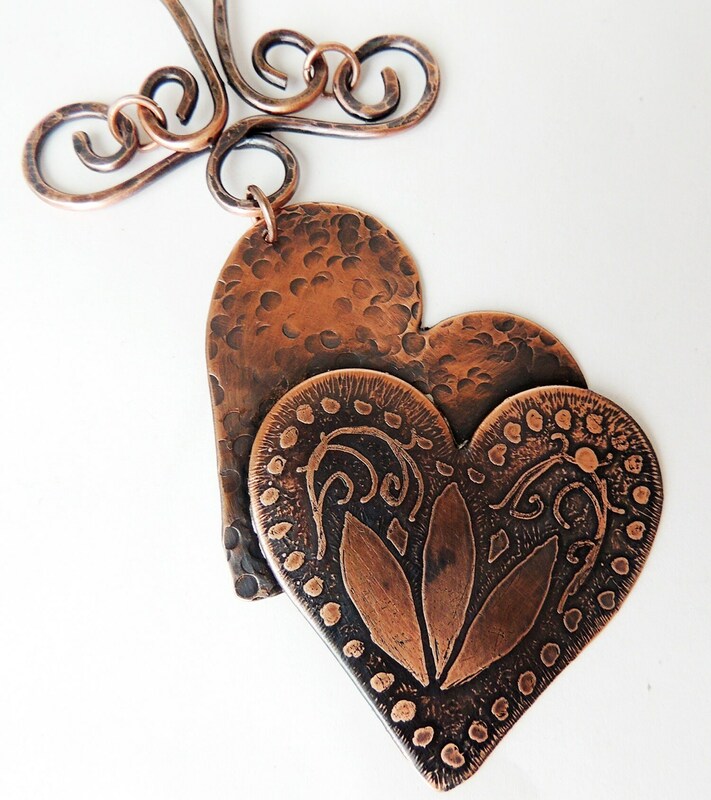 The two have been joined together to create a double heart pendant. This pendant hangs from a handmade bail of twisted wire. 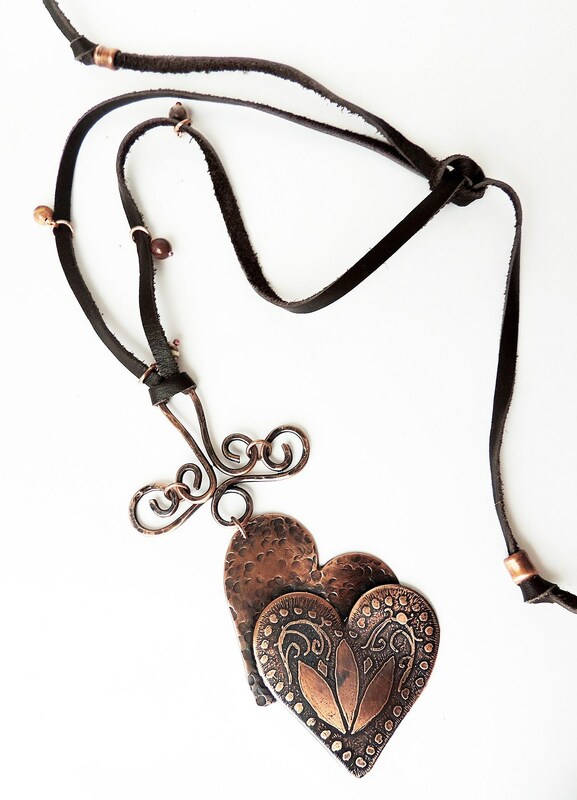 The overall length of the bail and pendant is a 4 1/2 inch drop. I used soft deerskin leather for the necklace and added birds eye rhyolite beads with tones of grey, red, brown,yellow, cream and pink. The leather cord is 32 inches and can be tied to any length.